Course: 60 min race time. Laps approx 1.5km long, featuring flat grass, trails, hills and obstacles requiring the rider to quickly dismount and carry the bike while negotiating the obstruction and then remount. No chance of getting lost and an awesome course for spectators. Have a Go Free coaching: A free group lesson prior to race start at Totara Park. Be ready at 9am sharp! Entry: $25 or $15 for AK MTB Club members. 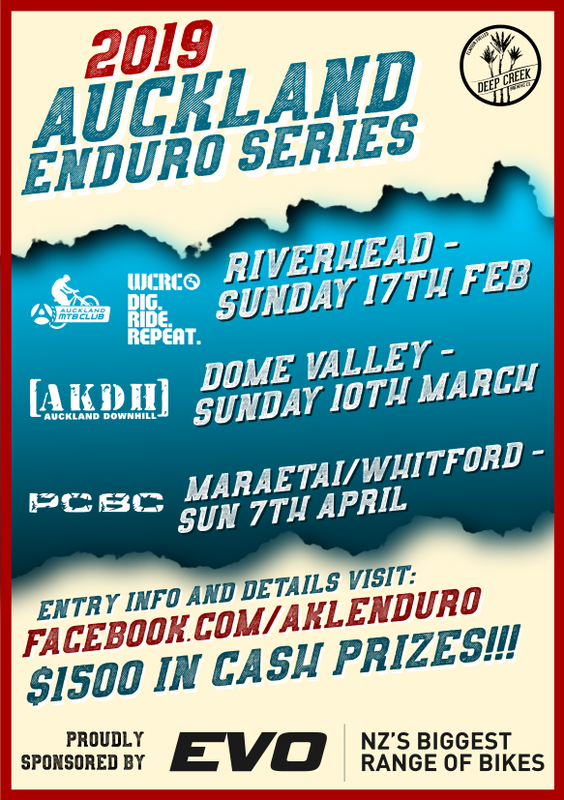 $5 Kids (14 and under), Series entry $75 or $45 for AK MTB Club members. Use AKMTB at checkout for club discount. 9:00 – Have a Go free coaching session – Konini only.